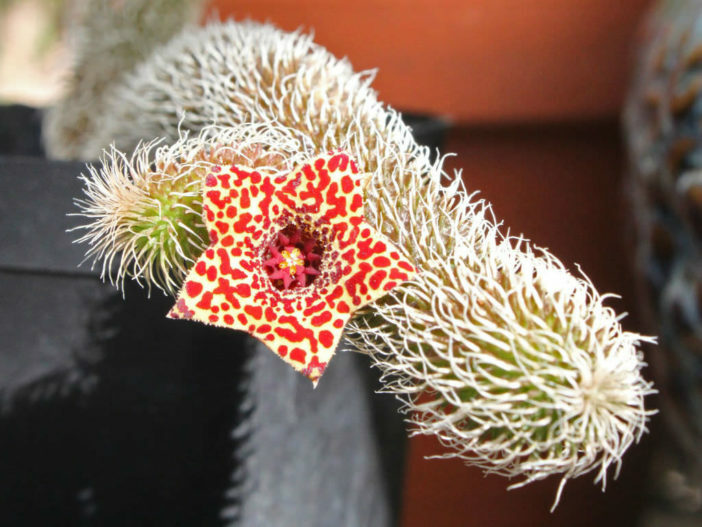 Stapelianthus pilosus is a clump-forming, richly branched, stem succulent up to 4 inches (10 cm) tall. The stem is cylindrical, green to very dark brown, up to 12 inches (30 cm) long and up to 0.5 inches (1.2 cm) wide. The leaves emerge green in spring, but quickly begin assuming their bright, eye-catching hues. 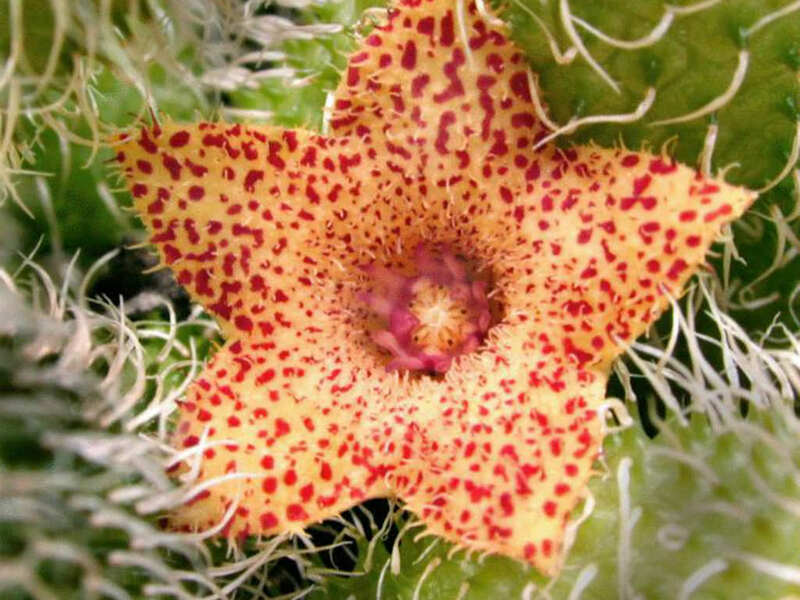 The flowers are up to 0.7 inches (1.8 cm) across, with 5 triangular lobes, yellow with brown spots. 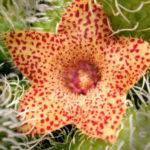 The genera of plants within the tribe Stapeliae are all to varying degrees stem succulents. 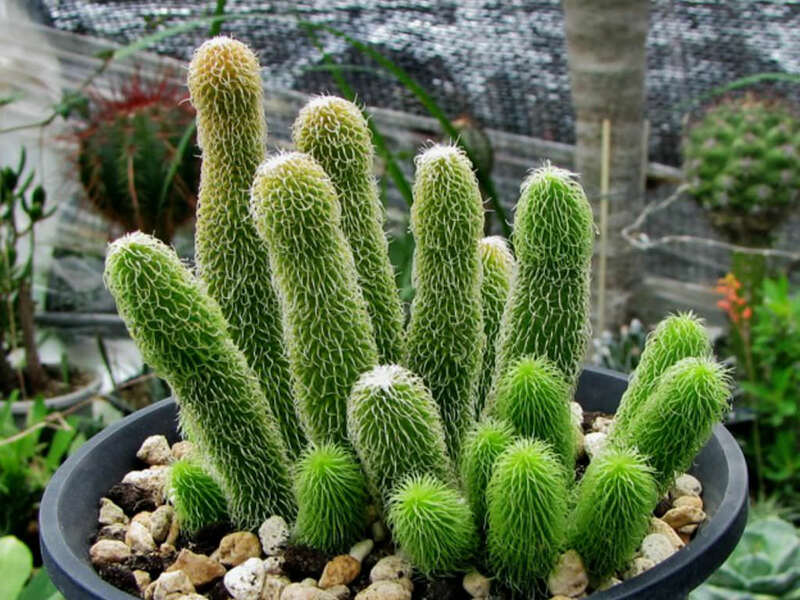 They are relatively easy to grow. 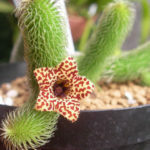 Stapeliads should be treated as an outdoor plant as they will easily rot indoors and cannot flower without exposure to outdoor temperature fluctuations. They should be grown under cover so that watering can be controlled. Plants require a reasonable amount of sunlight to promote flowering and maintain a well shaped plant. Very shady positions will produce very poor flowering. 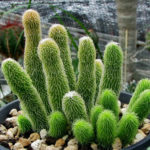 This plants come from climates where they survive extremely high temperatures in the summer months so most growth is in spring and autumn, with flowering in autumn when the weather starts to cool down. In growing season, water in moderation when needed, making sure soil is fairly dried out between waterings. Do not water between November 1 and March 1. 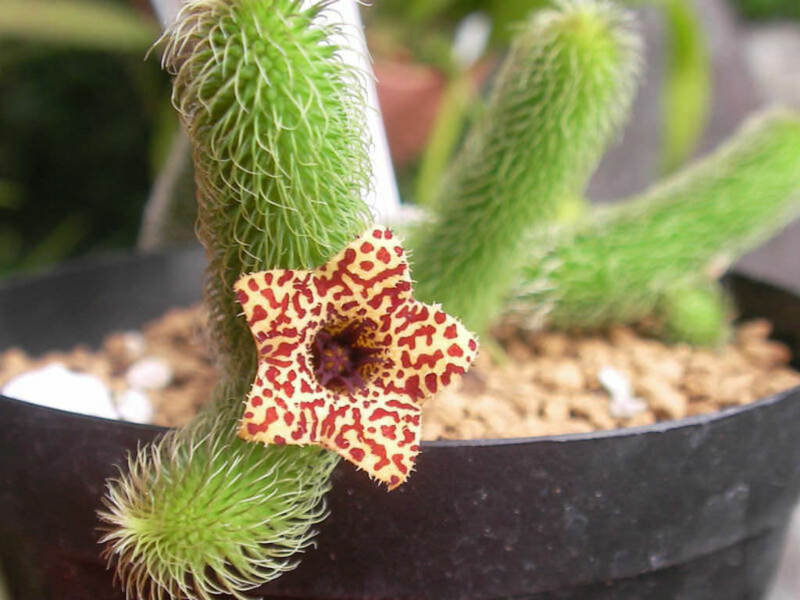 Stapelianthus pilosus is native to Madagascar and is concentrated in the far south of the island.